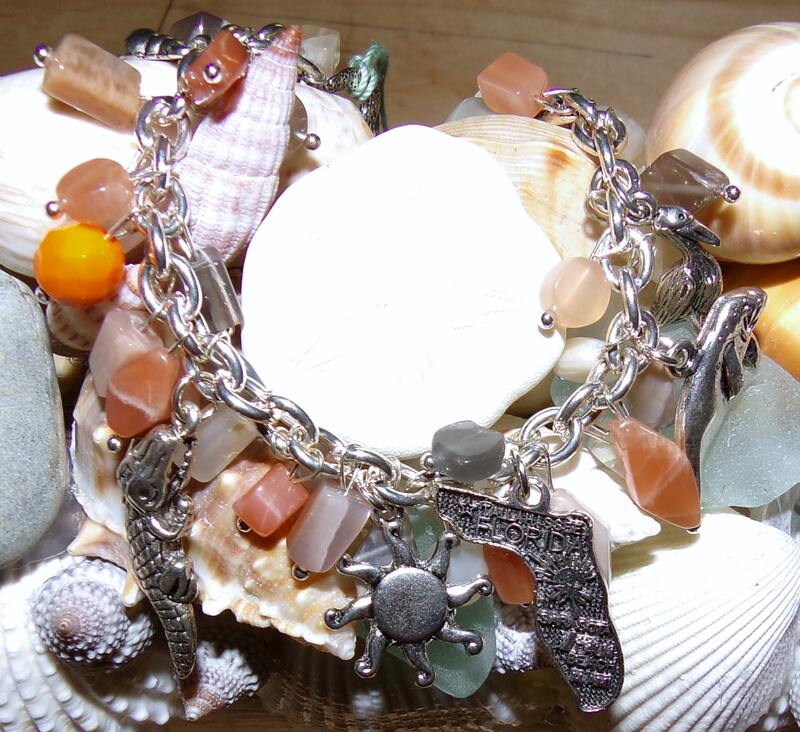 This bracelet is the perfect gif for anyone that loves Florida. 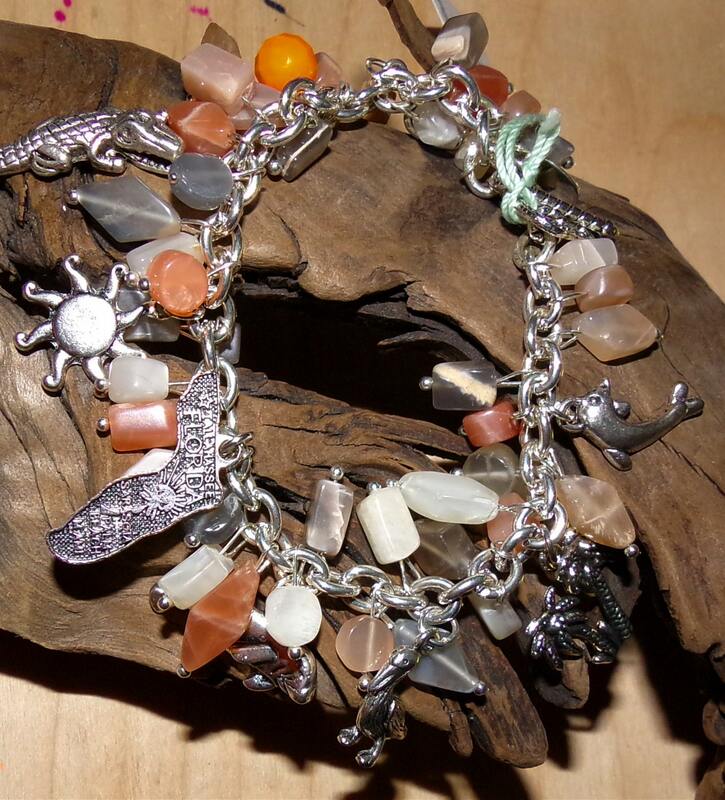 It is made with Florida's Gemstone Moonstone. 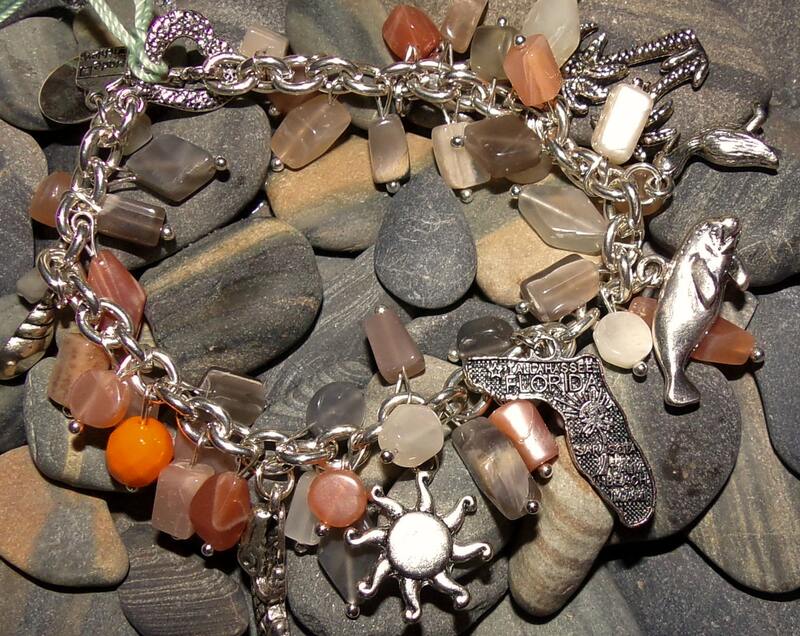 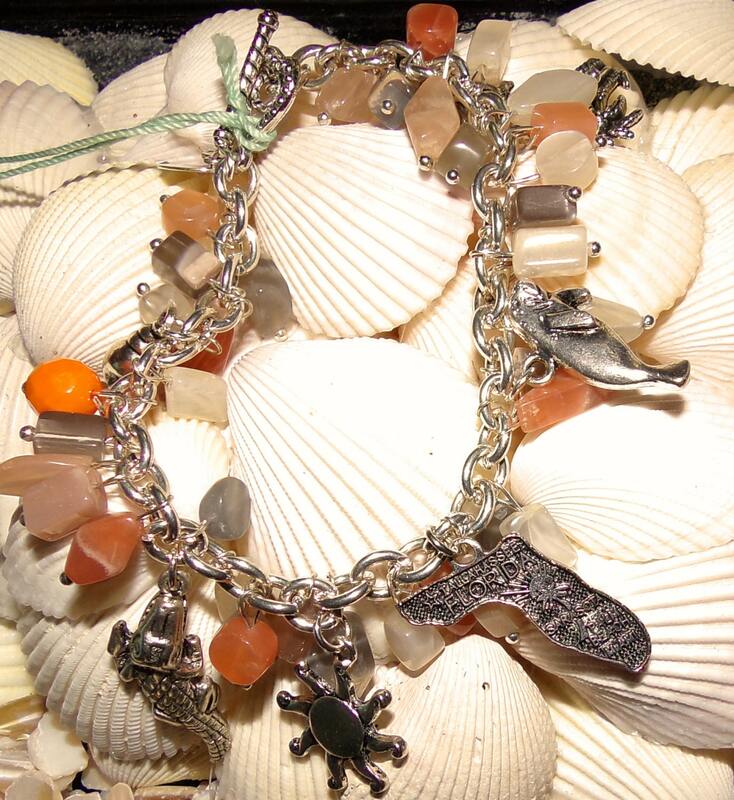 The charms include Florida map, Sun, Pelican, Manatee, Alligator, Dolphin, Palm Trees, Sea Shell and an orange. 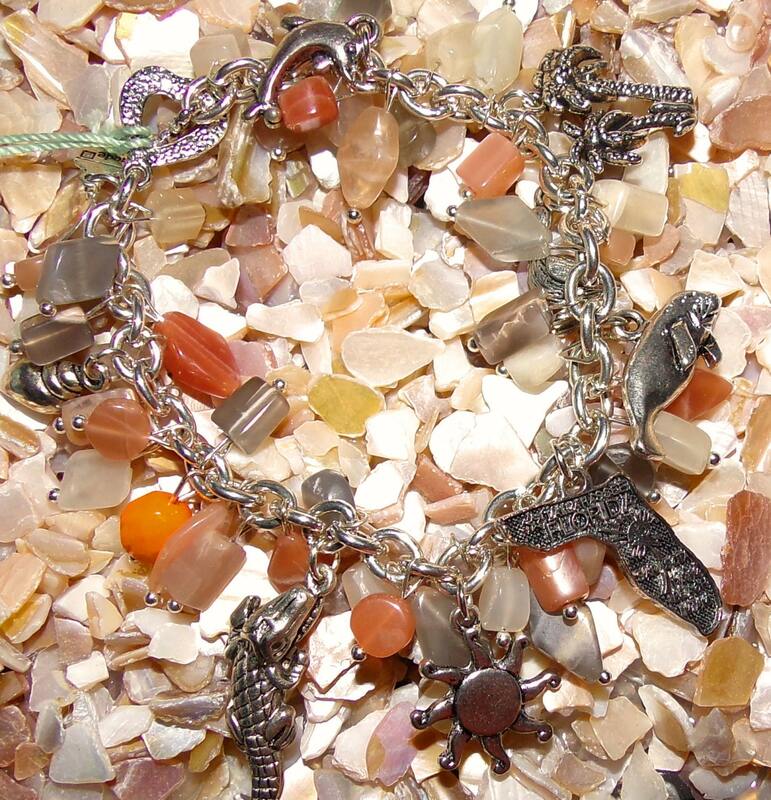 If you would like another state, send me a message.